​Arsenal’s 5-1 humiliation away at Anfield on Saturday was of significant concern for the Gunners in terms of their top four hopes, but an even greater problem in the bigger picture. Saturday’s defeat to Jurgen Klopp’s side meant that ​Arsenal are now without a win in their last 20 away games against the rest of the Premier League’s big hitters. The Gunners have lost 10 of their last 12 clashes away to the other big six sides, according to Opta. 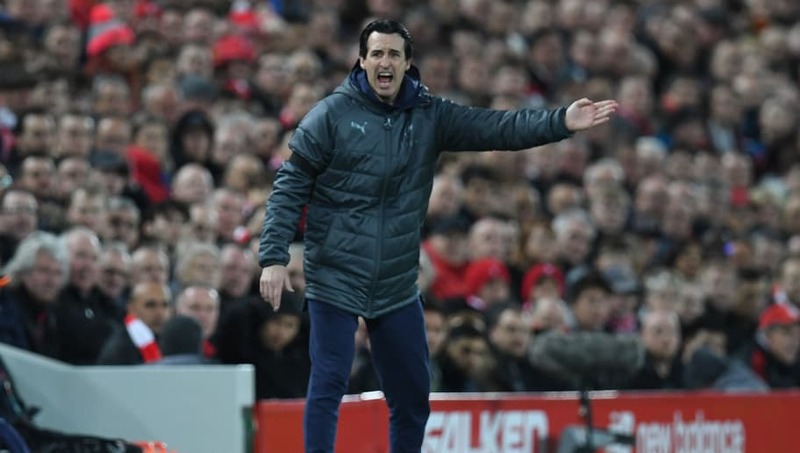 Having managed just two draws during that concerning run of poor form against their closest rivals has led to the pressing question: What needs to change under Unai Emery to enable Arsenal to compete among the top sides once more? On closer analysis of their record in recent years, there is plenty of encouragement to be taken from an Arsenal perspective. The Gunners’ emphatic 4-2 win over north London rivals ​Tottenham at the start of December was strong evidence of Arsenal’s ability to deliver. Lucas Torreira attempted more tackles (5) than any other Arsenal player in the first half against Liverpool. Emery’s side displayed plenty of quality and resolve to come back from 1-2 down at half time to secure a monumental win in the Spaniard’s first north London derby, but it was not a performance that would have been uncharacteristic of Arsene Wenger’s Arsenal. The legendary Frenchman guided his Gunners side to two consecutive 5-2 wins at home to Tottenham in back-to-back seasons in the 2011/12 and 2012/13 seasons. Arsenal came from behind on both occasions. Unai Emery has been widely credited for implementing a greater sense of resilience and determination in his new Arsenal side this term. However, as those previous results displayed, that fighting spirit was already there. But not consistently. As was seen in Arsenal’s demolition at the hands of ​Liverpool on Saturday, that lack of consistency which blighted the twilight years of Wenger’s tenure still exists in the Gunners’ ranks. To further trace the correlation between Wenger’s later years and Emery’s maiden season, the Frenchman also led his Arsenal side to a 5-1 defeat at Anfield in 2014, in what was widely regarded as one of Wenger’s darkest days at the club. Clearly there is still much to be done by Emery to eradicate the Gunners’ shortcomings against the big sides. Arsenal remain more than capable of mixing it with the best, so long as the occasion suits them. Plus having never won a Champions League title . That ‘occasion’ has generally depended on the comforts of home soil in recent years, with a few exceptions. Though Saturday’s defeat was not quite on the same catastrophic scale as 2011’s 8-2 thumping at Old Trafford, the 5-1 score line at Anfield was certainly a shock to the system in reminding Emery and Arsenal that the dark days are not all in the past. Rather, the Spaniard still has much work to do in purging his new side of a problematically soft underbelly which has blighted Arsenal’s ability to keep pace with the Premier League’s top teams in recent times. Against Liverpool, Arsenal’s injury-laden defence was cracked at almost every time of the Reds’ emphatic asking. Klopp’s attacking trio of ​Roberto Firmino, Sadio Mane and ​Mohamed Salah sensed blood in the visitors’ back line and the home side seized the opportunity. Arsenal's attacking threat as usual was not the problem, but the Gunners' back line was at sixes and sevens as Liverpool provided two quick-fire responses to Arsenal’s shock opening goal in the match. The visitors’ efforts to halt the Reds’ attacking juggernaut were simply hopeless. Liverpool are in uncompromising winning form of late, and Saturday’s performance is therefore not the most effective barometer of Arsenal’s progress in away games against the big-six under Emery, but the manner in which the Gunners fell apart at the back was of some concern. Arsenal’s setup at Anfield appeared more effectively manned in crucial areas. This was not a Gunners side which was guilty of showing an arrogance in lacking diligence towards the threat of top-quality opposition, as had too often been the case in recent years. However, the visitors crumbled all the same in a manner all too reflective of years before. Emery's side are very much a work in progress. Liverpool finished eighth during Jurgen Klopp’s first season in charge and the German has yielded successful improvement of his side through time over three years, intensely drilled work on the training ground and an influx of big-money signings to plug problematic positions. Liverpool’s defence was in poor shape until Klopp imposed his expert coaching methods on the likes of Trent Alexander-Arnold and Andrew Robertson, whilst Virgil van Dijk was cherry-picked at great expense to add the missing leader to guide the Reds through the tougher tests. Emery’s Arsenal cannot be judged until they have been afforded similar time and finances for the Spaniard to whip his new side into a more disciplined and determined shape akin to that of Liverpool. The foundations are there, but greater consistency must be enforced - particularly away from home. After his first six months in charge, Emery has breathed fresh air and greater purpose into his new side, but there is still much work to be done for the Spaniard to return Arsenal among the very best in the Premier League.